Floyd Mayweather Jr., left, poses with kickboxer Tenshin Nasukawa, of Japan, during a news conference at the Mayweather Boxing Club in Las Vegas, Thursday, Dec. 6, 2018. Mayweather is scheduled to fight Nasukawa in a three-round exhibition match in Japan on New Year's Eve. 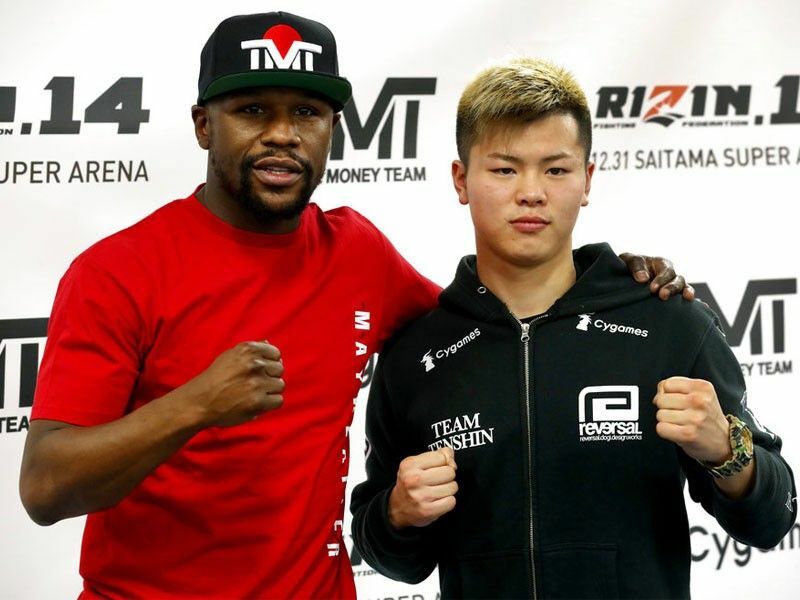 LAS VEGAS — Floyd Mayweather says he and Japanese kickboxing star Tenshin Nasukawa will meet after all — but only in a nine-minute New Year's Eve exhibition. Nasukawa joined Mayweather at his gym to announce the exhibition, which will be boxing only and take place at Saitama Super Arena in suburban Tokyo on December 31. A few days later, Mayweather issued a statement after returning to the US that he was "blindsided" by Japanese officials and never intended to have an actual fight with Nasukawa.